When my son Bryant was growing up I always tried to make sure he had a hearty, hot breakfast to start his day. Among his favorites were waffles, french toast, and pancakes. Back in those days I often made pancakes using Bisquick. One weekend when Bry was about 8 years old, he asked me if we had any Bisquick. When I asked why, he replied, “so we can have pancakes.” I told him we didn’t have any, but that I could make them from “scratch”. The next time he wanted pancakes, he asked, “Mom, do we have any of that “scratch”? 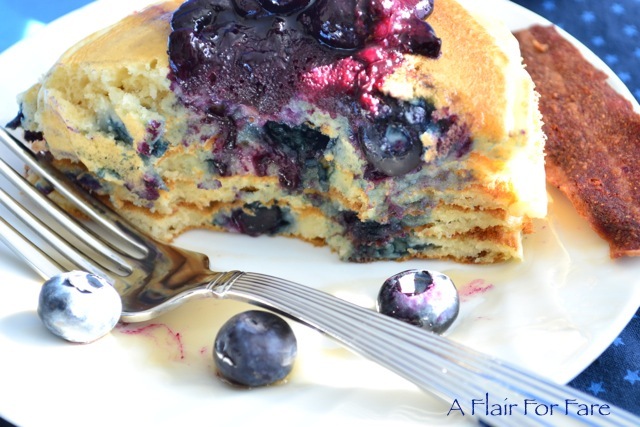 And that is what we affectionately refer to as “the pancake story”. It’s one of my most special memories and I think about it every time that I make pancakes. Bryant is now a grown young man with small children of his own, but whenever I get the chance, I pull out the “scratch” and make pancakes for him. I also have a french toast story, but I’ll save that for another day. Beat the egg with a hand mixer until fluffy; beat in remaining ingredients just until smooth. If batter is too thick, add more buttermilk. Note: I mix the batter in a large 3 cup Pyrex measuring cup. I add enough buttermilk to make 2/12 cups of batter. Pour batter onto hot griddle. I use an electric griddle set at 300 degrees. 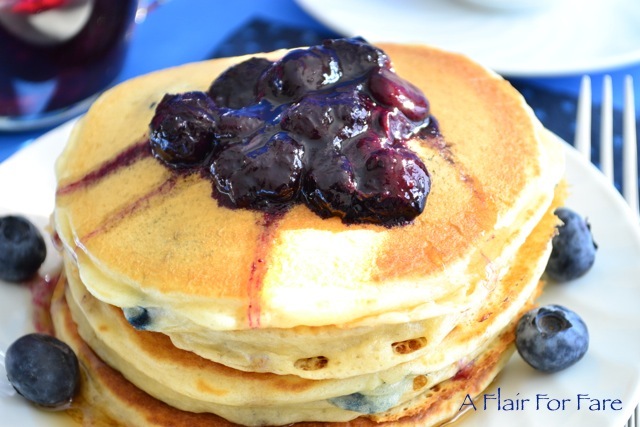 For blueberry pancakes, drop several blueberries (fresh or frozen) onto the top of each pancake. Cook until puffed and dry around edges. Turn and cook other side until golden brown. Makes 12 four inch pancakes. 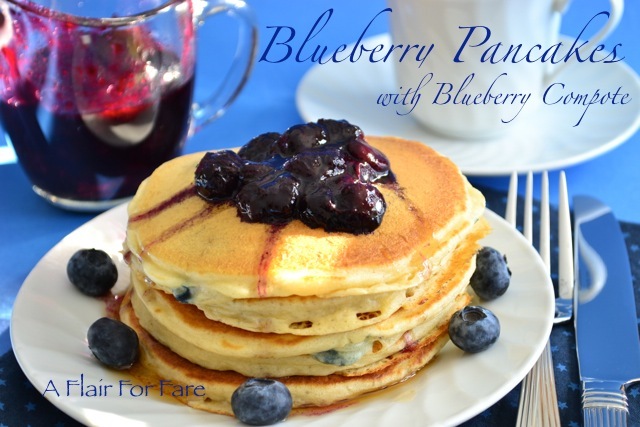 Top with warm syrup and/or blueberry compote.